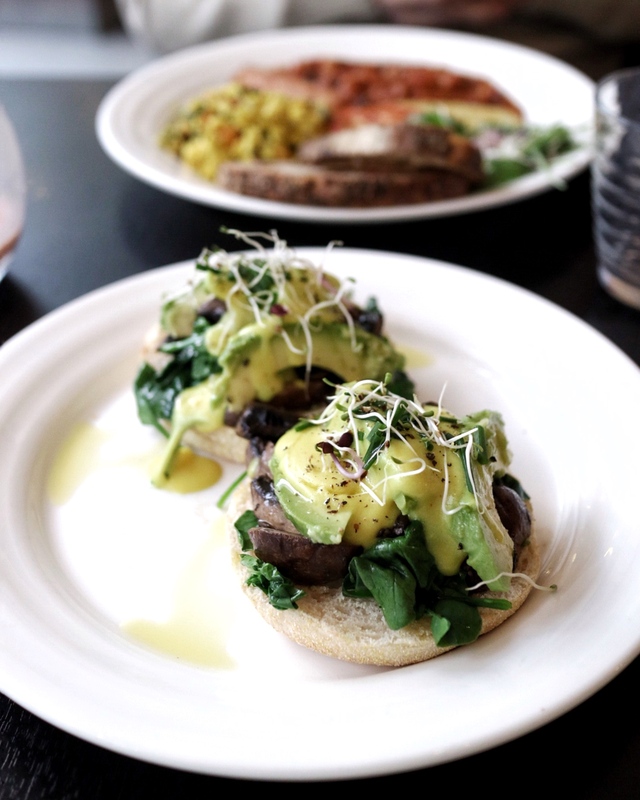 Oh my – what if I told you that I finally found the ultimate vegan brunch place in London? And it’s been around the corner from my house the entire time?! 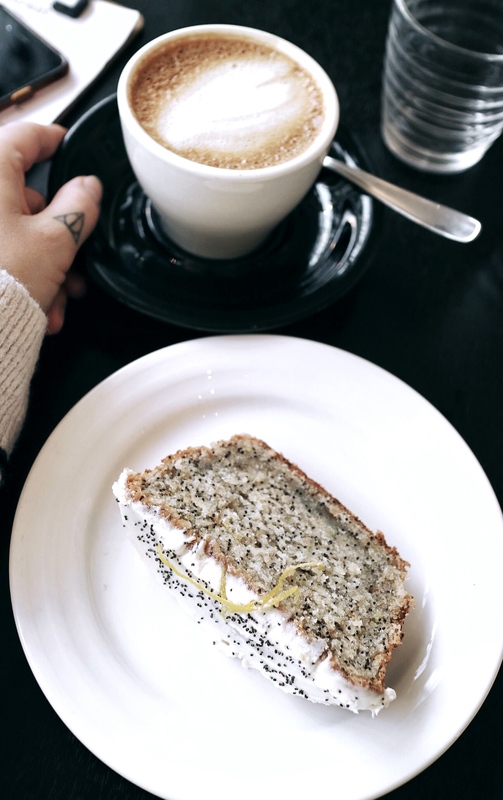 I was honestly so wow’ed when I found out that this cute café exists in Richmond – just down the road from us. 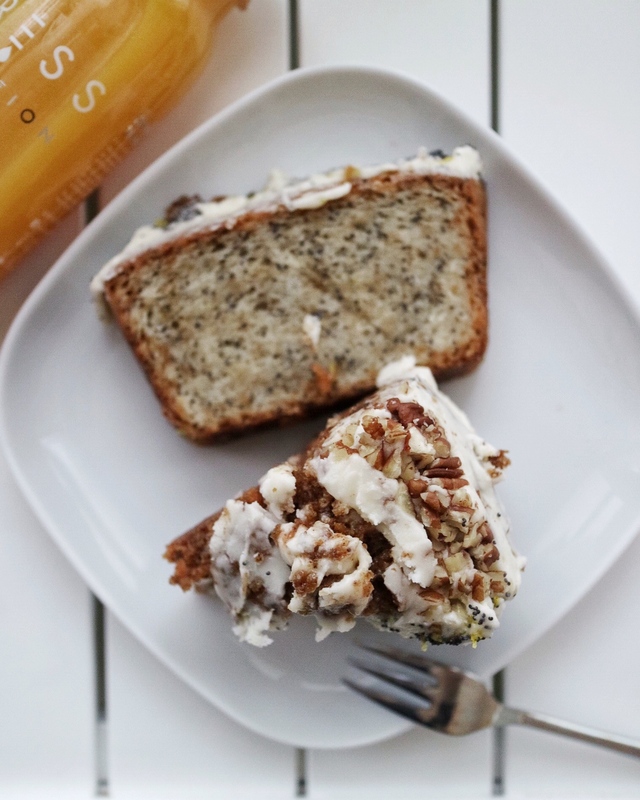 Ladies and gentlemen – let me introduce: The Retreat Kitchen! Seriously can’t believe I’ve been missing this one before – even though my bus used to run right past it. You’re sometimes simply blind, right? Or maybe it has to do that I am usually using my public transport time to catch up with my emails, social media and audio books and literally zone out completely from time to time. Nick and my were super excited once we had our little brunch date scheduled in – their brunch menu simply looked amazing. Oh and they not only do brunch but also have different menus for different days and times of the day, so everybody’s getting what their vegan hearts desire. 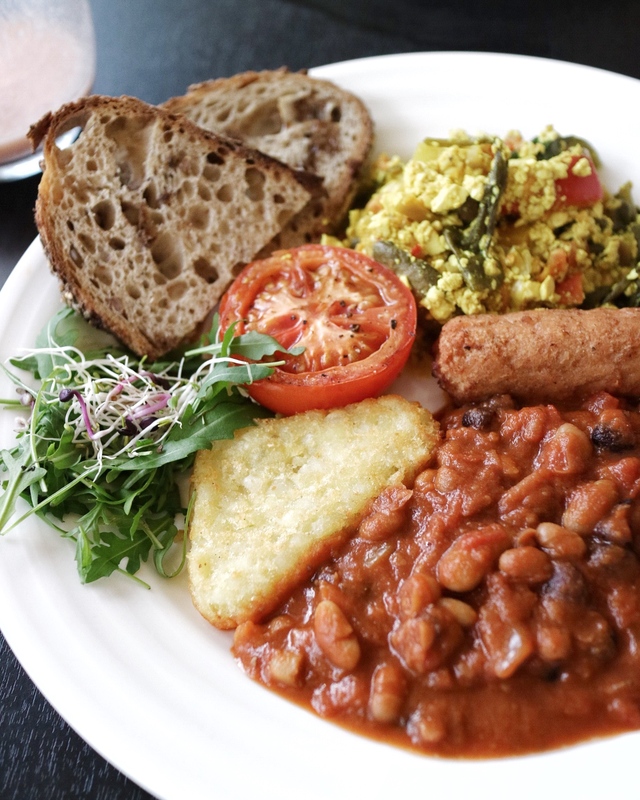 The Retreat Kitchen is a fully plant-based restaurant/café and was lovingly created by Maggie and Claire. They both met and found their passion for healthy & plantbased food whilst filming for the BBC’s The Retreat – and The Retreat Kitchen was born! Their aim is to offer delicious food that is good for you and good for the planet – and I am definitely joining in on that mission. 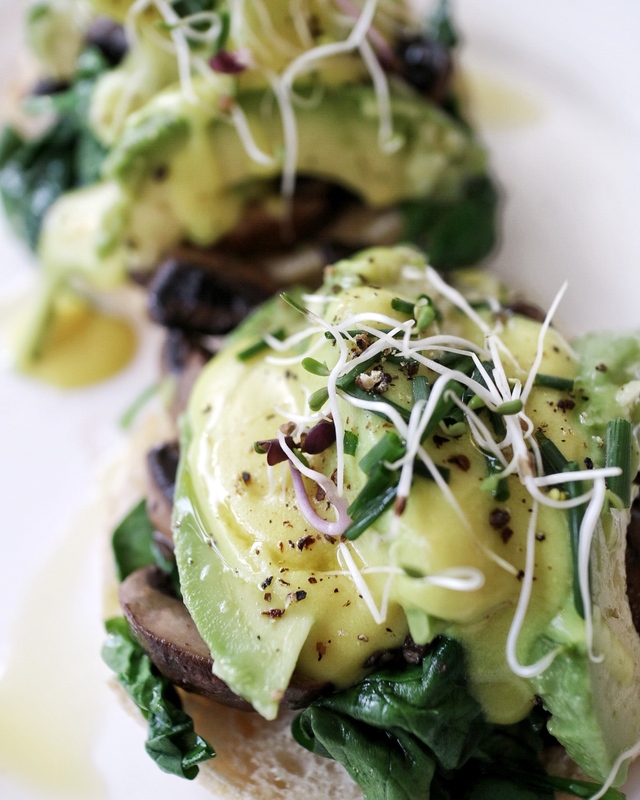 I simply thought – hey I have no idea how to make this myself, so let me use this brunch occasion yo enjoy it – but yeah, if any of you know a great vegan Eggs Benedict recipe I’d happily love to give it a go, so let me know! Just look how stunning they looked… and they tasted just as amazing, and I have to admit that I have been craving them since. Seems like I gotta head back for another brunch soon! 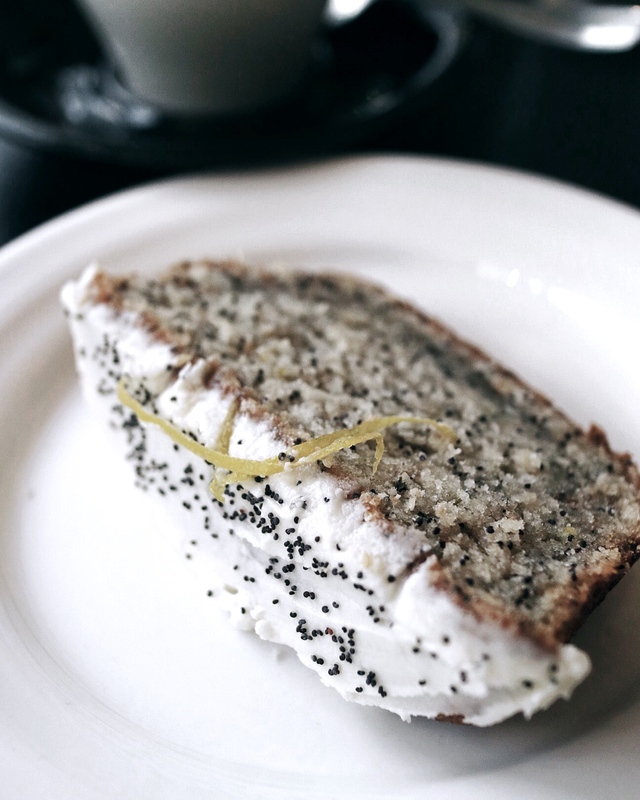 Have you ever tried a lemon poppy seed loaf? If you’re British you most likely have – but as I did not grow up in the UK, this goodness of a treat has so far escaped my tastebuds – AND OH MY! A definite 10/10 on my gorgeous food scala! 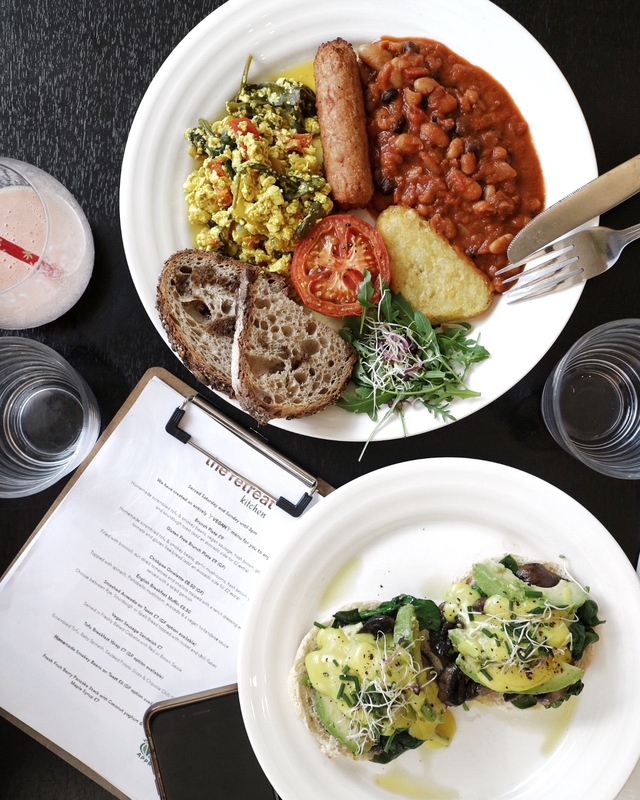 Can’t wait to be back – if you’re looking for the perfect vegan brunch spot in London, convince yourself and pay them a visit!